Can 23andMe identify Native American ancestry? 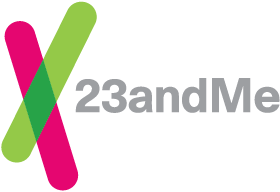 Currently 23andMe has several features that can reveal genetic evidence of Native American ancestry, although they are not considered a confirmatory test or proof of such ancestry in a legal context. It is important to note that even if an individual in your family tree was considered to be Native American, your own DNA may not reveal the Native American ancestry because each parent only passes down a random half of their DNA each generation. The Ancestry Composition report estimates what percent of your DNA comes from each of 45 populations worldwide, reaching back about 500 years. It also tells you about your connection to different Recent Ancestor Locations, which are specific countries where one or more of your ancestors likely lived within the last 200 years. Both of these analyses look at DNA you inherited from ancestors on both sides of your family. Your results may include evidence of DNA from the native peoples of North, Central, and South America. This could include DNA assigned to the population labeled "Native American," "Broadly North Asian & Native American," or "Broadly East Asian & Native American." For more information about the samples we use in our reference populations, see our Reference Populations article. Note that this feature does not currently specify ancestry from a particular Native American group. These reports may indicate evidence of Native American ancestry based on your maternal or paternal haplogroup assignment. The specific associations between each haplogroup and its geographic origins are described in each report. Though there are a few exceptions, the maternal haplogroups found in unbroken Native American maternal lineages include branches of haplogroups A2, B2, C1 and C4, D1 and X2a. Paternal haplogroups associated with unbroken Native American paternal lineage are almost entirely limited to specific branches of haplogroups C and Q.